OFFENSE and HOW to Get Delivered! 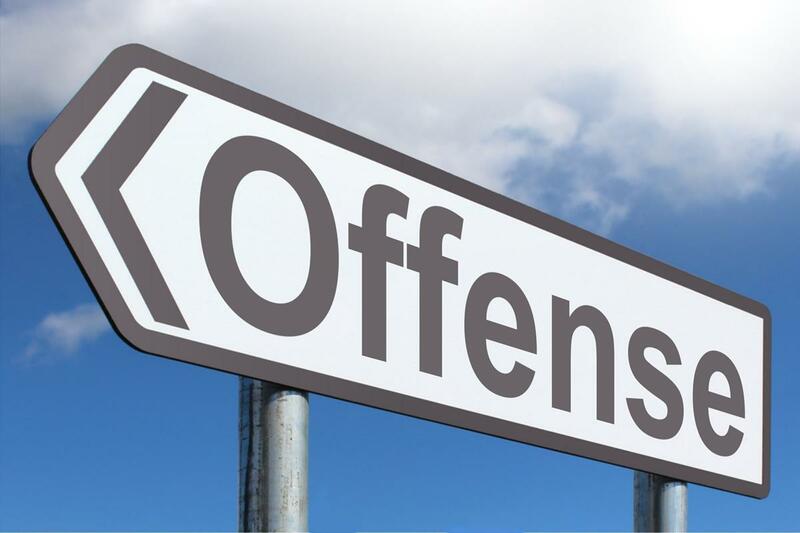 This is a hard and messy word about Offense, but it must be taught. It is nasty. It sneaks up on us, attaches itself to us and then spreads like a virus onto others. It is a tactic of the enemy for these last days to keep us from unity. But God! He wants us to get cleaned up. He recently told me that offense is the cork in the wine bottle and He wants His people uncorked in this hour. 4- you are upset that they are not friends with you anymore (ex: they are friends with your friends but not you now; they go places without you, etc., etc.) akin to jealousy, but being offended makes you mad and judgmental. The spirit of offense will either make you want to run and hide or verbally slanderous, maybe even vicious. Offense is a spirit, ie, spirit of the world, spirit of jealousy, familiar spirit, lying spirit, perverse spirit and so on. Generally speaking, the spirit IS what it is named – obviously Legion is not. Regardless, offense is a spirit, so we can deal with it in the same manner as any other spirit. Also in Luke 7:7-9, “But just say the word, and my servant will be healed. 8For I myself am a man under authority, with soldiers under me. I tell one to go, and he goes; and another to come, and he comes. I tell my servant to do something, and he does it. 9When Jesus heard this, He marveled at the centurion,” (because the centurion understood heaven’s chain of command and how authority operates in the Kingdom!) So all you have to do is “speak a word” in faith and belief and all of heaven jumps at your command. That’s powerful! Ask Him to fill you up. B) repent to those that YOU are offended with. This one is really hard, because they may not even know that you are offended. They may ask you what you were offended by. Be ready to tell them. Ask for their forgiveness, whether it’s A or B. If they are unwilling, love them anyway. Repent anyway. It’s not about them, it’s about you and God. Don’t be surprised to find out that you have offended MANY more people than you thought you did! Once you start down this trail the Holy Spirit will leave no stone unturned…in fact, it may seem as though offended people are crawling out from under every rock. But don’t go hide under the rocks that they just crawled out from under. Keep at it. It will eventually end, and your wine will flow because you are uncorked! THEN, once you have repented, work to not be offended – or offensive – again. If you find yourself getting offended, repent again. Keep yourself on a short leash. Most of these things we must learn first-hand. Unfortunately, with offense, we are usually the last to know that we are offended, and offensive as a result. But once we have learned this valuable lesson, it is difficult to forget! We are quick to repent and ask for forgiveness once we have cleaned up our messy trail. Many blessings to you as you clean up behind yourself! Just remember, you are not in this alone! Holy Spirit will help you every step of the way! Ask Him – He is your Paraclete, the Comforter and the Helper.